Serve as a pour over topping on scoops and soft serve ice-cream and for fine piping on plates for enhancing appearance of desserts. Also use for enhancing the flavour of Chocolate milkshakes. 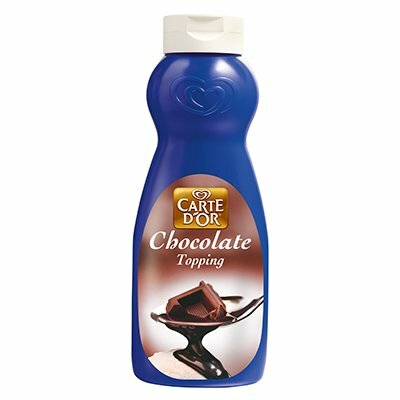 Store the Carte D'or Chocolate Topping in the fridge to make a thicker consistency that is perfect to use as a topping for cakes.